A while back, I wrote in the Austin American Statesman of the special locations in nearly all communities that represent the spirit of a place. In many cultures, the phenomenon is explained as a place where the physical and spiritual worlds are closely connected. The Celtic mythology refers to these locations as “Thin Places.” In Christianity, we understand the tradition of holy ground in the stories of Moses on Mount Sinai. In Japan, Mount Fuji is understood as sacred and is also a national symbol. The idea of a spiritual space isn’t tied to any particular theology or religion, but is common to many cultures across the globe. Today, I revisited one site that I have always considered a special place, Lou Neff Point along the southern banks of Town Lake in central Austin. 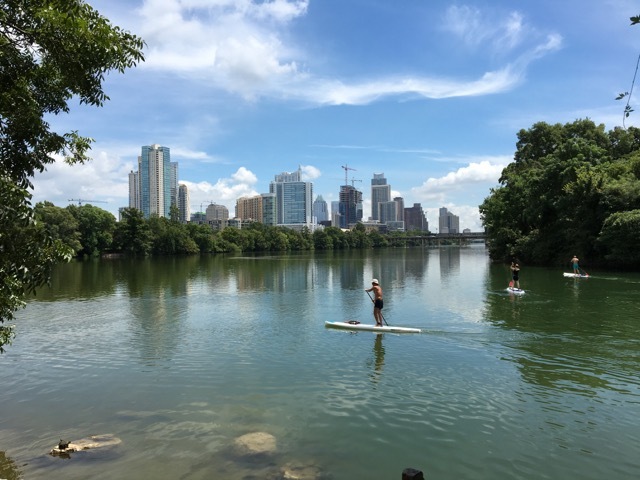 The location is at the juncture of Barton Springs with the Colorado River. A broad lawn stretches towards the shore and then drops off steeply at the water’s edge. Enlightened leaders have not only preserved this special place, they created the celebrated Zilker Park to preserve the entire area. The current pavilion and landscaping are the result of several major upgrades over the past decades. In the 1970’s, the landscaped trails were established with a pavilion covering a gathering plaza at the promontory. 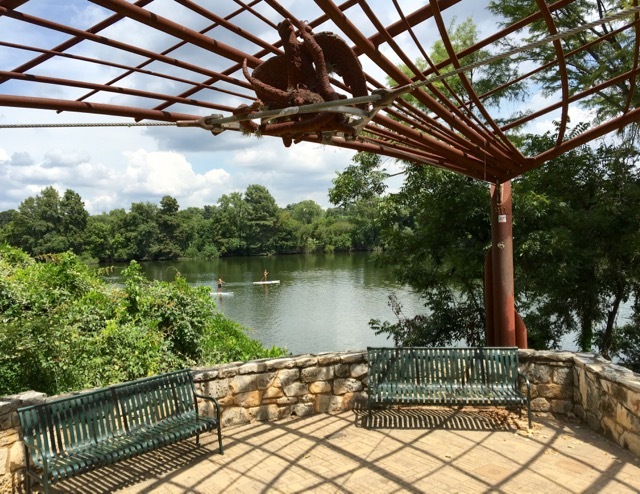 The current sculptural pavilion was constructed in the 1990’s as one of Austin’s first Art in Public Places Projects. 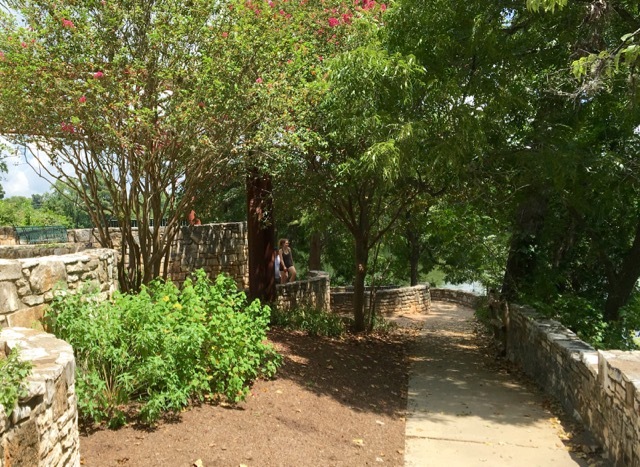 The expanded trails, landscaping, and stone terracing were set in place with public and private funding in 2006. Its not hard to see that many Austin residents appreciate this place. All over the terraced plaza are brick pavers acknowledging hundreds of donors. Some special markers and plaques stand out as memorials to beloved or deceased friends and family members. But just spending time here is the best way to appreciate the beauty of the place. Under the pavilion and all along the upper and lower trails are gorgeous views to the water, to the trees, and to the downtown buildings not so far away. The serenity here is unmistakable. I noticed how many runners, as they began to round the corner, instinctively slowed down or stopped to experience for themselves the power of this special location.